– Horse trainer Ike Green talking about the Kentucky Derby favorite horse that was named after Usain Bolt. How long should a sprinter warm up for? 90 miles per week when does adaption show itself? Oh baby it's on, Kamworor has his eyes on the Half WR !! 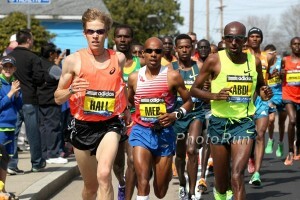 Ryan Hall 2:04:58 = underwhelming, wind-aided performance. Kamworor 13:01 = GOAT?? Can you use watch alarms in track meets? Can I win Boston as an amateur from corral #1? 7:10 am ET Sunday: USATF: What To Watch, When And Where In The Month Of April You can watch the Cherry Blossom 10 Mile Sunday at 7:10AM ET. 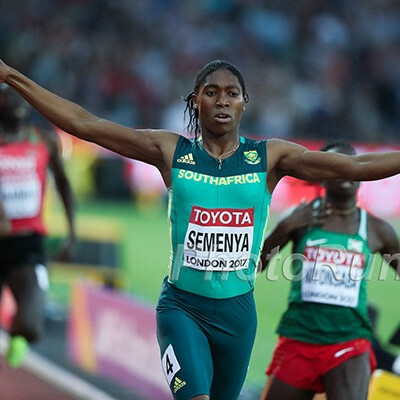 LRC Track And Field Fan’s Guide To The 2018 Commonwealth Games: Why You Should Care And How To Watch We preview the action down under which features Elijah Manangoi vs. Timothy Cheruiyot, Elaine Thompson vs. Shaunae Miller-Uibo, Caster Semenya, Joshua Cheptegei, Clarence Munyai, Isaac Makwaala. Good Read: Engaged Aussie Distance Runners Ryan Gregson And Genevieve LaCaze Discuss Their Relationship LaCaze: “I would say we are the complete opposite (personalities). When I met Ryan, ‘I thought how the hell is this going to work?’. Family of Woman Who Died Last Fall Sue Race Organizers After She Fell In Ocean During The Japanese Race Four Years Ago The family is suing the race for $933,00. Kentucky Derby Favorite Named After Usain Bolt The horse’s full name is Bolt d’Oro. DyeStat Preview: 10 Boys Story Lines To Follow At Arcadia Invitational The 3,200 has both NXN champ Aidan Troutner and Foot Locker champ Dylan Jacobs. Sunday: $12,000 In Prize Money Up For Grabs At The Credit Union SACTOWN Run 10 Mile Men’s race is lead by Matt Llano while Jane Kibii will try to defend her title on the women’s side. Competitive Fields Going After $62,000 At This Weekend’s Cooper River Bridge Run 10K In South Carolina Men’s race has Shadrack Kipchirchir and former Olympic bronze medalist Edwin Soi while the women are led by two-time defending champ Monicah Ngige, Ethiopia’s Hiwot Ayalew, Katie Matthews and former US marathon champ Esther Erb. June 13: Dafne Schippers And Mutaz Essa Barshim Confirm Appearances For The Ostrava Golden Spike Meet Barshim will be up against World Indoor champ Danil Lysenko, the first person to beat him since 2016. May 19: Olympic 400 Champ Shaunae Miller-Uibo And World 100 Champ Tori Bowie Headline adidas Boost Boston Games Also Noah Lyles and Christina Manning vs Sharika Nelvis in the hurdles. 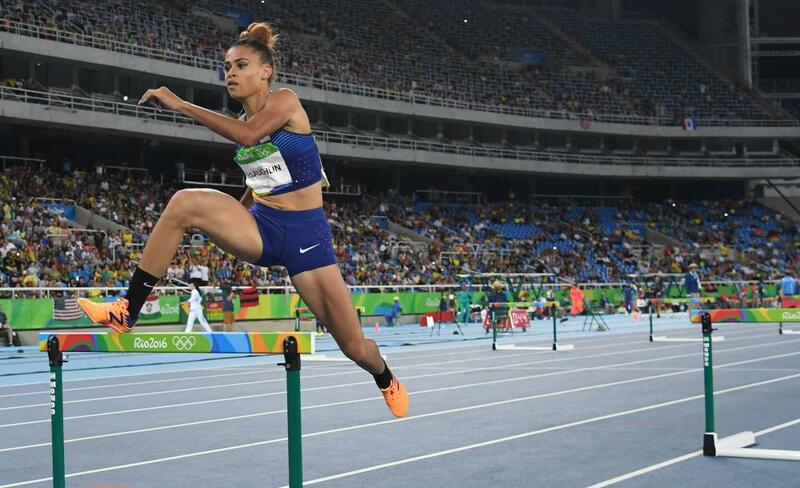 LRC Jake Robertson, Ce’aira Brown, Nijel Amos, Sydney McLaughlin, Cruz Culpepper, Tom Walsh Impress, Plus More Proof Galen Rupp Is Very Fit Sports Gene gets a boost this week and John Calipari is talking track, not basketball. 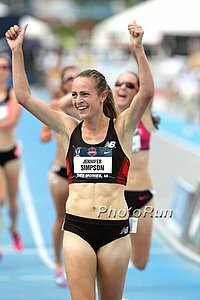 April 27: Drake Relays Will Feature A Challenge To The American Two Mile Record From Jenny Simpson Shannon Rowbury has the current record at 9:20.25 from 2014. Along with the clock, Simpson will also race Brenda Martinez and Alexa Efraimson. GB Miler Chris O’Hare Reflects On His Early Career Run At The Mini London Marathon Back In 2008 We were surprised that O’Hare was racing a half marathon when he was only 16 years old, but turns out “mini marathon” is actually only 5k. 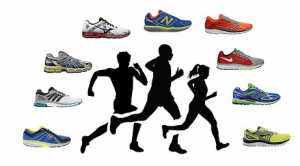 Under no circumstances should the word marathon be in the name of a 5k race. LRC 5 Months In, After 31:55 10,000m Win, LetsRun.com Analyzes Gwen Jorgensen’s Olympic Marathon Dreams Will Jorgensen be a force in 2020 in the marathon? We debate. Discuss: After 31:55 10k Win in Stanford, how do you assess Gwen Jorgensen’s Olympic chances? Texas Relays: Renaud Lavillenie, Shawn Barber And Armand Duplantis All Clear 5.92m Lavillenie won the meet on countback. 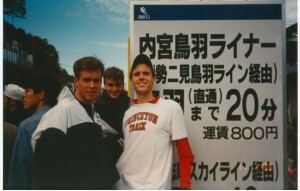 The last time three men cleared 5.92m or higher at the same meet was 1999. In the sprints, Nigeria’s Blessing Okagbare won the 100 in a wind-aided 10.72 (all-conditions African record) and NCAA indoor champ Elijah Hall took the men’s 200 in 20.11. USATF Texas Relays/Florida Relays Recap Jenn Suhr cleared the outdoor WL with 4.83m in the PV. Jacob Despard And Elizabeth Forsyth Win Stawell Gift, Australia’s Richest Foot Race The 120m handicap sprint race on grass awards $30,700 to the winner. Devon Allen competed, but went out in the semis. South Africa’s Gerda Steyn And Kenya’s Justin Kemboi Win Two Oceans Marathon Chesire ran 3:09:18 (5:26 pace) and Steyn 3:39:26 (6:18 pace) for the 56k ultra. MB: Why do people on here hate ultra runners? We certainly don’t. Kenya’ s Joan Melly Runs Fourth Fastest All-Time 65:04 To Dominate Prague Half By Over A Minute The men’s race was super deep as Benard Kimeli won in 59:47 with two more under the hour barrier and 1-6 separated only by 21-seconds. Good Read: Ken Goe: Former Football Player Damarcus Simpson Flies For The Ducks Simpson really wanted to play college football rather than track, but at 5’7″ and 140 pounds he didn’t have the size for it. *RG: Former Two-Time D2 Long Jump Champ Making His Season Debut For Oregon At Pepsi Invy Simpson missed indoor after surgery on his leg so this will be his first meet since he was 3rd at USAs last year. Duke Women Win Battle Of The Blues Title Just 7 Points In Front Of Michigan North Carolina was only another 8 points back in 3rd. Michigan Men Defend “Battle Of the Blues” Team Trophy They scored 91 points to North Carolina’s 69 and Duke’s 43. Distance Runner Samantha Nadel Gets A 6th Year At Oregon Coach Robert Johnson said it was going to be a “crapshoot at best” if she got a 6th year, but good documentation of her two stress fractures in 2015 and 2016 got her a final season. Maggie Ewen Breaks Her Own Collegiate Hammer Record Twice At The Sun Angel Classic She now owns 7 of the top 8 collegiate throws ever with a best of 74.53m (although her PB is 74.56m outside the NCAA season). Sunday: Laban Korir (2:05:54) Leads A Field of Eight Sub-2:07 Men For The Rotterdam Marathon The women’s favorite is Visiline Jepkesho who ran 2:21:37 in Paris last year. Sunday: Wide Open Fields Set For The Istanbul Half Men’s field includes Leonard Langat (59:18), Albert Kangogo (59:25) and Amdework Waleglegn (27:36 for 10K). The women’s race has Joyce Chepkirui (66:19), Dubai Marathon champ Roza Dereje (2:19:17) and Ababel Yeshaneh (67:21). Sunday: Paul Lonyangata Looking To Become The First In 28 Years To Win Back-To-Back Paris Marathon Titles Last year he won in 2:06:10, but this year he’ll only have the fifth-best PR on the start line. Among those he’ll face are former Worlds silver medalist Yemane Adhane (2:04:48 PR from 2012) and Eliud Kiptanui (2:05:21). The women’s race stands to be a duel between Amane Gobena (2:21:51) and Ruth Chepngetich (2:06:06). Sunday: Rahma Tusa (2:25:12) Going For Three-Peat At Rome Marathon She’ll face challenges from former World silver medalist Sharon Cherop and a slew of other sub-2:30 women. 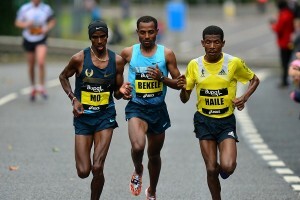 The men’s race is led by Kenya’s Jafred Chirchir Kipchumba (2:05:48) and Ethiopia’s Girmay Birhanu (2:05:48). April 22: World Record Holder And Defending Champ Joyciline Jepkosgei Returns To The Gifu Seriyu Half-Marathon She faces Eunice Chumba (66:11) and Valary Jemeli (67:50). Defending champ Alexander Mutiso will try to defend his men’s title, but only has the fifth best PB as he faces sub-hour men James Mwangi, James Rungaru and Moses Kurong. April 29: Fourth-Fastest Marathoner Of All Time (Emmanuel Mutai), Former Olympic Champ Stephen Kiprotich Headline At Hamburg Marathon 2:04:28 man Sammy Kitwara and Ayele Abshero (2:04:23) are also in the field along with several other sub-2:07 men. Six of the women’s field have gone sub-2:30, led by Isabellah Andersson (2:23:41 from 2011) and Shitaye Eshete (2:25:36). Drake Stadium In Des Moines, Iowa Will Host The 2019 USATF Championships In Addition To The 2018 Meet Makes sense since Hayward Field will still be under construction at that point. 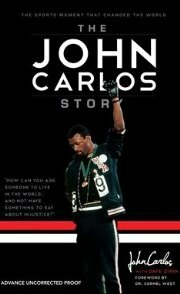 Recommended Read: In-Depth Interview With 1968 Olympic 200m Bronze Medalist And Human Rights Activist John Carlos Carlos talks about his historic Black Power salute on the Olympic podium, his relationships with Martin Luther King, Jr. and Malcolm X and many more insights about his life/career. 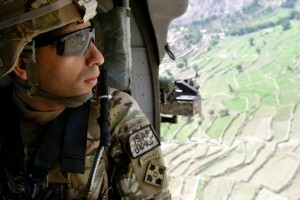 Even if you know about Carlos, you are guaranteed to find out plenty of new info in this ~18,000-word interview. April 28: Drake Relays Men’s 100m Field Unveiled With Five Olympians Including Andre De Grasse De Grasse will face Mike Rodgers and Worlds LJ silver medalist Jarrion Lawson. Jamaica Tops The Medal Tables At Carifta Games Lead By Briana Williams’s Three Golds Williams won the U17 girls 100 in a Games record of 11.27, lead off leg on the gold winning 4 x100 and took the 200 in 23.11. Distance action was highlighted by a tactical 4:02 victory by Jamaica’s Javon-Taye Williams. World Champ Mutaz Essa Barshim Announced For Pre Classic HJ He’ll face a deep field including World Indoor champ Danil Lysenko and USA’s 2012 Olympic silver medalist Erik Kynard. Cost Estimates Continue To Soar For Hayward Field Renovation Original estimates were at $60 million, but Ken Goe writes he’s now hearing the cost will top $200 million. 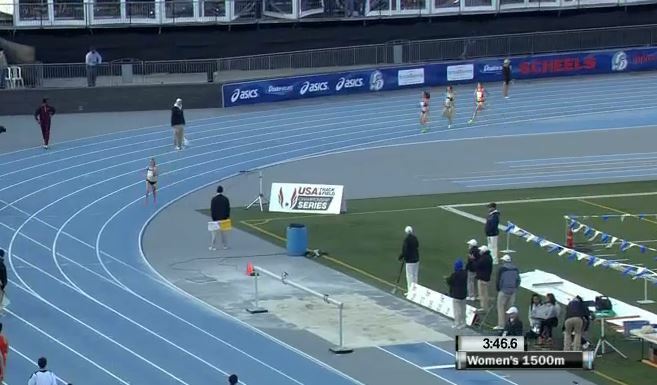 Sydney McLaughlin Opens Outdoor Season With 22.39 PR At Florida Relays That’s #4 all-time on the world junior list and .29 faster than she ran indoors but .01 slower than Gabby Thomas‘ indoor CR. 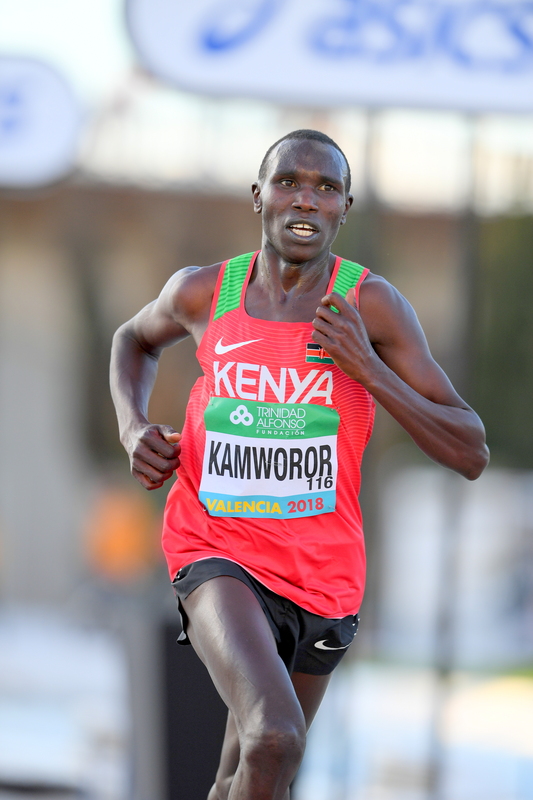 LRC Feature The Greatness Of Geoffrey Kamworor: Where Does The Kenyan Star Go From Here? Jonathan Gault talked to Kamworor, who (thanks to his recent win at the World Half Champs) has won a global title in each of the last five years, to see what’s next for one of Kenya’s biggest distance stars. WSJ: Memo From Nike’s HR Chief Says The Company Fails To Promote Enough Women, Minorities Nike’s global workforce is 50% female, but 71% of the vice presidents are men and 84% of its US vice presidents are white. IOC Reveal Seven Contenders Interested In Bidding For 2026 Winter Games The cities include Graz in Austria, Calgary in Canada, Sapporo in Japan, Stockholm in Sweden, Sion in Switzerland, Erzurum in Turkey and a joint Italian bid from Milan, Turin and Cortina d’Ampezzo. *Original Daily Mail Article: “Athletics Stunned By Laura Muir’s Alberto Salazar Link As British Ace Makes Surprise Decision To Work With A Coach At NOP” Muir’s coach Andy Young said it was his idea to hire McHenry and that he wasn’t exclusively an NOP coach. World Indoor And Outdoor Shot Put Champ Tom Walsh Explains Why He “Enjoys Heaving Metal Balls For A Living” One of Walsh’s reasons is he likes to “prove people wrong” and cites a coach that told him when he was 18 that he would never throw far because he wasn’t strong or big enough. Christian Taylor And Will Claye Will Resume Triple Jump Rivalry At Pre Classic The complete field will have all the World and Olympic medalists as well as 7 of the top 10 ranked from 2017. 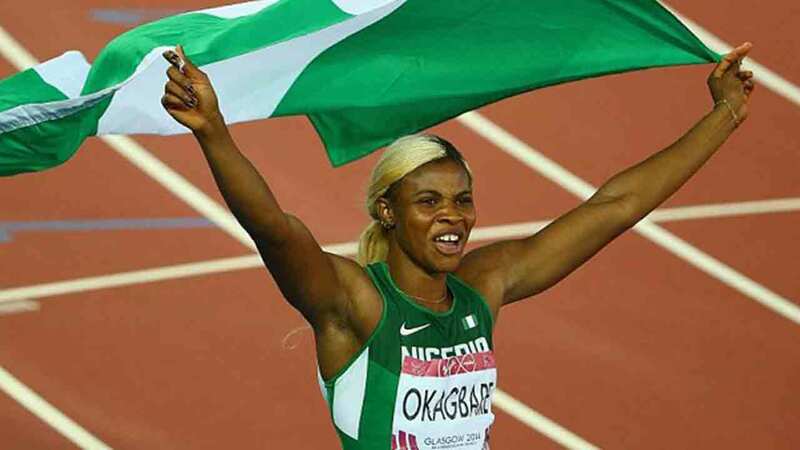 Nigerian Officials Beg Blessing Okagbare To Run Commonwealth Games 100/200 Currently she is only entered in the 4 x 100 and apparently it has something to do with being angry because she feels the Nigerian government abandoned her when she was recovering from injury. Can GB Heptathlete Katarina Johnson-Thompson Win CWG Gold? She’s won some indoor medals, but never came through at a major outdoor championship. 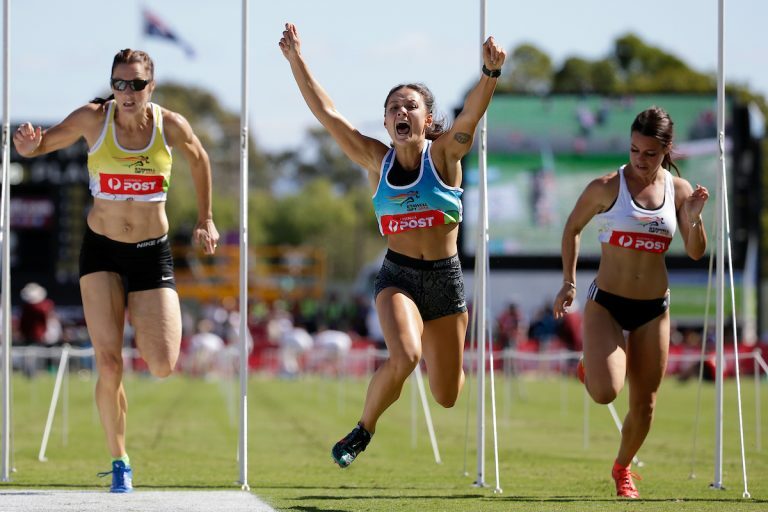 Sally Pearson Pulls Out Of Commonwealth Games With Achilles Injury Pearson had been dealing with the injury, but it flared up again a few days ago. Zharnel Hughes Is “Raring To Go” At His First Commonwealth Games Hughes has had a positive start in Australia as last weekend he ran fastest 200m time (20.23) on Australian soil since 2001. Adam Gemili Wants To Bounce Back From Individual Disappointment In 2017 With Commonwealth Games 100m Gold Gemili was angry about being overlooked for an individual spot in the 200 at Worlds last year and says it’s “massively important” to make up for it now. Brownlee Brothers Blame Injury After Commonwealth Triathlon Failure The two GB brothers Jonny and Alistair only managed 7th and 10th. UK’s/Nigeria’s High Jumper Mike Edwards: “I should not be penalised as an adult for a decision that I made as a juvenile.” He might not have competed for GB internationally since he was a kid, but he’s still competed as Brit, winning the British indoor champs in February. Commonwealth Games Organizers Roll Out Red Carpet And Condoms About 225,000 condoms, 17,000 toilet rolls and free ice cream welcomed athletes to the Gold Coast Commonwealth Games village. Did You Miss April Fools? LRC April Fool’s Home Page All of the tech glitches have been fixed and the links are now working. MB: Why is no one talking about Mo Farrah DQ??? MB: BREAKING: Colleen Quigley just got married. MB: Wait! Is the Coe quote about Farah DQ April Fool’s????? MB: What were the best April Fools jokes that various runners did today? USTFCCCA Looks At What Collegiate Outdoor Records Could Fall This Year An interesting stat is that the average women’s record is 9 years old and the average men’s is 21 years old. NCAA Athletes Of The Week Are Sydney McLaughlin And South Dakota’s Chris Nilsen McLaughlin had a crazy weekend with a 22.39 and 50.07 at Florida Relays as well as splitting 49.45 on Kentucky’s 4 x 400. Nilsen beat out a deep pole vault field in the non-pro section at the Texas Relays to win with 5.80m. Florida Men Top The Latest NCAA Rankings Moving Up From 4th Texas A&M and Houston are 2-3 while Oregon moved from 1st to 4th. Updated Women’s Outdoor Rankings: Arkansas And Oregon Stay 1-2 Texas A&M moved up from 6th to 3rd; Georgia dropped from 3rd to 9th. Abraham Kiptum Wins Fierce Battle To Break CR At Daegu Marathon In 2:06:29 Kiptum only beat out Evans Korir by 6 seconds with Peter Some 3rd in 2:06:49. Janet Rono won the women’s race in 2:28:17 as the top 4 all broke 2:29. MB: Jake Robertson crushes field, wins Crescent City Classic in 27:28 Robertson beat some big names including former Olympic 5,000 bronze medalist Edwin Soi (3rd), 12:48 man Isiah Koech (5th), Kenya’s Bernard Lagat (6th) and Donn Cabral (7th). Monicah Ngige won the women’s race in 32:05. Yuki Kawauchi Outkicks Countryman Ryoga Asai To Win Satte 10 Miler In His Final Boston Marathon Tune-Up Kawauchi ran 49:17 to beat Asai by 8 seconds. April 8: 2018 Paris Marathon Elite Fields Have 15 Sub-2:08 Men And 8 Sub-2:25 Women Paul Lonyangatta (2:06:10) is the defending champ while Yemane Tsegaye (2:04:48) and Markos Geneti (2:04:54) have the fastest PRs. 2016 Tokyo runner-up Amane Gobena (2:21:51) leads the women’s race.